promotes the development of the wind energy industry in Nebraska. In addition to his mayoral duties, Moenning continues to serve on the board of directors of 4 Lanes 4 Nebraska, which has worked to promote expressways throughout the state, including the completion of Highway 275 from east of Pilger to south of Scribner. But a main focus for him now is New Power Nebraska and its efforts to educate people about the benefits of wind energy, Moenning said. Continue reading here. What if my home is in a shaded location? What if solar panels don’t fit the architectural design — and I simply think they’re ugly? How are solar panels disposed of once they’re no longer used? 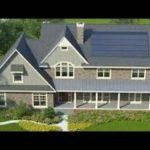 community solar for homeowners with shaded roofs or other issues. come equipped with rooftop solar, or source power from a community solar array–starting in 2020. Ainsworth, Central City, Chadron, Fremont, Gothenberg, Grand Island, Hastings, Hemingford, Kearney, Lexington, Lincoln, Loup City, Norfolk, Omaha / Fort Calhoun, O’Neill, Pawnee City, Schuyler, Scottsbluff, South Sioux City, and Venango. 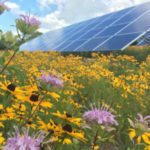 NPPD customers can request community solar for their town or city by submitting the SunWise Community Interest Form here, potentially helping to grow community-scale solar in our state. OPPD will soon be offering a community solar program to its customers. Read more here. March 13, 2019, 7 p.m. at UNO’s Community Engagement Center, Rooms 230/231. 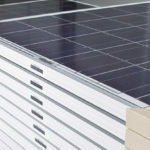 Solar roofing offers an option that some homeowners may perceive as more aesthetic than rack-mounted systems. See: World’s largest roofing company launches residential solar arm, PV Magazine. Standard Industries has announced the launch of GAF Energy, a subsidiary which will interface with local roofing contractors to sell its DecoTech Solar roof system. As community and rooftop solar grow in Nebraska, PV recycling will increasingly become an attractive business opportunity in our state. See: The PV Recycling Market – Scroll down to market reports and resources. Widely-recognized benefits of rooftop solar. Scroll down to read the excerpted list. 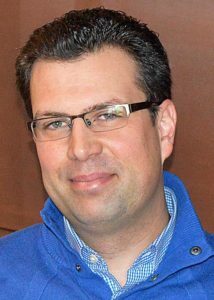 This entry was posted in Community-Scale Solar, Nebraska / Midwest News and tagged California Solar Mandate, cost of large-scale solar, cost of large-scale solar+storage, New Power Nebraska, NextEra CEO Jim Robo, Norfolk Mayor Josh Moenning, PV recycling, PV recycling market, solar roofing on February 19, 2019 by Helen Deffenbacher.